Still one of the best songs about skepticism. I don’t know, I think this works. Most religious people are honest and religious, but evidently not very smart. Most secularists are clearly smart and honest, obviously! Calling all dads of twins!!!! An announcement to any dads of twins out there in the UK. I have just released my third book, Twins: A Survival Guide for Dads. It is out now on Kindle, and will soon be released in paperback. Twins UK and TAMBA has shown an interest, which is great. Still the best video on religion. Fact. Is the US heading for a theocracy? The Republican plan to nullify the courts and establish Christian theocracy. Thanks to http://christiannightmares.tumblr.com/. This blew my mind. 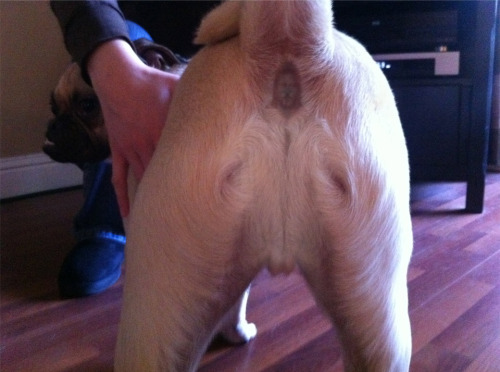 I mean, we've all seen Jesus on a piece of toast, but this...! Over on the Secular Outpost blog http://secularoutpost.infidels.org/2011/11/christian-nt-scholar-and-apologist.html there is some debate over the resignation of Mike Licona over his interpretation of Matthew 27. "As reported by Christianity Today (see here), New Testament scholar Michael Licona has apparently lost both his job as research professor of New Testament at Southern Evangelical Seminary and been ousted as apologetics coordinator for the North America Mission Board (NAMB). I have an analogy which I hope will illustrate why at least a lot of examples of alleged successful prayer or interventions of God take place. Yesterday I was pumping up the tyres to my twins’ buggy. I have an old bicycle pump which I bought probably seven years ago. I bought it for £3 – peanuts. This pump has been very hard working – two bicycles and a buggy at regular intervals (the buggy particularly often needing pumping up). The pump has worked tirelessly (pun intended). Lo! And it came to pass that a certain man was prevailed upon by his wife to have built a new kitchen extension unto his home. Loud were her weeping and wailings. Deep were her sighs. Many were the nights that she was just too tired, and extensive, even unto the splitting headaches. Until it became clear to the man that easement of his life would be facilitated merely by the building of a new kitchen extension. Aah, those good, alturistic people. Thanks to http://www.patheos.com/blogs/unreasonablefaith/ for this. Millican used my (!) argument against the KCA in his debate against Craig. This, from the review by Wintery Knight, shows the refutation to the KCA that I have been banging on about for a year or so is being used against Craig in debate. Finally. Well done Peter Millican. "1. There is no evidence that whatever begins to exist requires a cause. All the evidence we have of things beginning to exist are when something is created from rearrangements of other things that already existed.